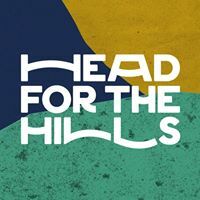 Day 2 of Head For The Hills festival in Ramsbottom saw another set of the type of diverse and eclectic acts that it has got its name and so many admirers for. From nationally recognised acts to some of the best local talent, Saturday's bill had something for everyone. We caught a real mix of performers including Toria Wooff, Sonya And The Greyhounds, Dantevilles, Secret Lemonade Factory, SKIES, Mano McLaughlin, Neville Staple Band, Dutch Uncles and a triumphant second stage headline set from Ist Ist. The first act we catch is local girl Toria Wooff playing The Chameleon Stage just after doors open at twelve. With just an acoustic guitar she crafts a set of beautiful thoughtful songs delivered with a voice that emotes the stories behind them. Author Song from her recent Drako EP is one of the stand out tracks, as are new songs Cases and Collision Course towards the end of her set. Her voice is delicate but expressive and she demonstrates this with her final song, a cover of the old standard St James Infirmary Blues. The beauty about this festival is stumbling upon acts you wouldn't normally discover and this year is no exception. We head over to the By The River stage for the magnificently titled Sonya And The Greyhounds and discover our old friend Sarah Dale from Little Sparrow is playing cello in the three piece who set old traditional tales to music. Sonya tells us the stories behind the songs before playing them, which gives us a fascinating insight into them - whether it be the tale of Janet told in fifteen verses, a dark ditty about arranged marriages or Polly Vaughan, who was shot by her boyfriend who mistook her for a swan and got away with it because his uncle was the magistrate. The growing crowd are transfixed by the mix of modern keys, the cello and Sonya's voice which acts both as songstress and storyteller. It's not the sort of thing we'd usually listen to, but it was a really beautiful set. Next up are Dantevilles on the main stage and they make a fist at knocking the cobwebs off the crowd who are mostly sat around on the grass soaking in the late summer sunshine. They're as naturally engaging between songs, joking about their "crap banner" and telling us they're going to cover Chic's Good Times to get us going, as their own songs are. It Might Be Tomorrow, Graffiti, Perfect Place and Fighter are songs with a groove and the way Conor and Jamie interchange vocals on them gives them a different vibe to most of the other young bands around. We then head back to The Chameleon Stage and stumble across Secret Lemonade Factory. We were more intrigued by the name than anything else, but the four piece, with their singer hampered by an arm in a sling, do a mix of covers of all sorts of songs from The Stone Roses' Waterfall to Blackstreet's No Diggity as well as some of their own original material with violin, keys and cajon. It's the sort of thing we'd run a mile from if we knew it was happening, but once we're in there, packed in to the tent with people stood outside we might add, it's superbly delivered and you can't leave because you want to know what they're going to try next. Back on more familiar ground, SKIES light up the Smaller Rooms Stage with their big electronic anthems. For a two-piece they make a ferocious racket, with Alie on guitar and vocals and Jericho performing gymnastics on drums. Their songs smack you around the face from the first moment and leave you feeling battered, bruised and exhilarated by the end and they've pulled a big crowd in, some on word of mouth and no doubt recalling their set last year on the By The River stage. A new song called Dead shows that they're not letting up in writing new material that fits like a glove with their growing list of killer singles that they've sneaked out under the radar in the last year or so - their most recent one Green and their final killer punch trio of Afterwards, Hold On and Drone. We love SKIES and so do Ramsbottom. Mano McLaughlin is one of the country's most underrated songwriters, revered by many of his peers, but without the public acclaim he richly deserves. His set in the pavilion features new songs from his follow-up to 2013's Peach Got Bones and demonstrates he's not lost any of the ability to craft beautifully observed songs that might be personal to him, but can find resonance with anyone, which for us is the greatest thing any songwriter can ever do. Bus Stop Strangers is a wonderful conversation between Mano now and the Mano of his childhood about how youthful dreams haven't come to fruition, whilst Big Truck is a potent targeted story of his reaction at waking up after the election to find the Tories still in power. He leaves us eagerly anticipating the album. Out in the field Neville Staple is charming the crowd with a brass-heavy run through some of the greatest songs from his time with The Specials. A Message To You Rudy, Ghost Town, Guns Of Navarone, Do The Dog amongst others have the main stage audience up on their feet singing along and many of the kids discovering these songs for themselves to carry their message forward. This is perfect early evening festival material, the songs being transformed by the fabulous band Neville has assembled around himself and the voices of the crowd joining in without ever feeling like it's tarnishing any legacy as can so often be the case. Dutch Uncles are next up on the main stage and their set runs through their five albums to date. It's often easy to forget that they've got such an impressive back catalogue, but as they run through the likes of Flexxin, Upsilon, Cadenza and Babymaking as well as new songs Hiccup and the title track from this year's Big Balloon, such amnesia is swiftly dissipated. As ever Duncan is engaging with the crowd in his own inimitable way, telling us that their happy sounding songs are sad and dark, and the sad and dark sounding ones are all happy really as well as joking that Flexxin came from a time when all they had to do was "rip off Prince." They leave us with a cover of Seal's Kiss From A Rose and we set our memory banks to not forget what a fabulous under rated and under appreciated band they are. This is Ist Ist's biggest gig to date. Last year they headlined the By The River stage on the Sunday and such was the response they've been given the headline slot on the second Smaller Rooms Stage in a bold move by the festival organisers. The tent is rammed as they start with last year's single Silence, the sharp bass lines slashing through the darkness. From this very first moment you know this is going to be a very special forty five minutes, a band taking the opportunity to deliver their best ever set to their biggest audience that'll be talked about as the highlight of the festival and which will act as a real stepping stone and statement of intent. For a band that trades on its darkness, they can't help breaking into smiles between songs as they survey the crowd in front of them that get these harsh metallic songs like Emily, the one-liner Things Will Never Be The Same Again and the twists and turns of the ferocious 7 and the set-closer Diversion. They've got big anthemic songs too, the sort that radio needs to get its balls out and take a chance on. As the chorus of Strangers kicks in, the mosh pit front centre goes into full on mode and people are singing back every word of it, even some who'd never heard the song before. White Swan, Night's Arm and their forthcoming single Right Before Your Eyes have a power and precision that might not fit the anodyne playlist culture, but which will appeal to those who want something more from their music. It's the performance of their lives, you can see the venting expression on Adam's face as he lets rip on Emily and Things Will Never Be The Same, Andy stands tall, central and proud to deliver Diversion's thrilling bass line breakdown and Joel on drums batters his kit into submission, delivering the pounding backbeat that underpins all this chaos. This was the night Ist Ist came of age, dismissed all the doubters who thought they were too harsh and out there to deliver a headline set that would have people pouring out of the tent breathless and ecstatic at what they'd just witnessed. Their gig at Gorilla on home turf in four weeks is going to be sensational. Toria Wooff is on Facebook. Secret Lemonade Factory are on Facebook. Mano McLaughlin's website can be found here. He is also on Facebook and Twitter. Neville Staple Band's website can be found here and they are on Facebook and Twitter. Dutch Uncles' website can be found here. They are also on Facebook and Twitter. Ist Ist are on Facebook and Twitter. Read our mega-interview with them here. They headline Manchester Gorilla (October 14 - tickets).